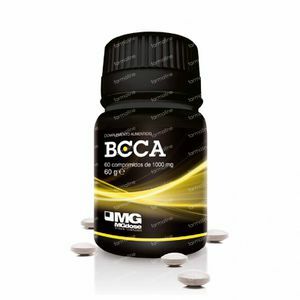 MGDose BCCA 60 tablets order online. 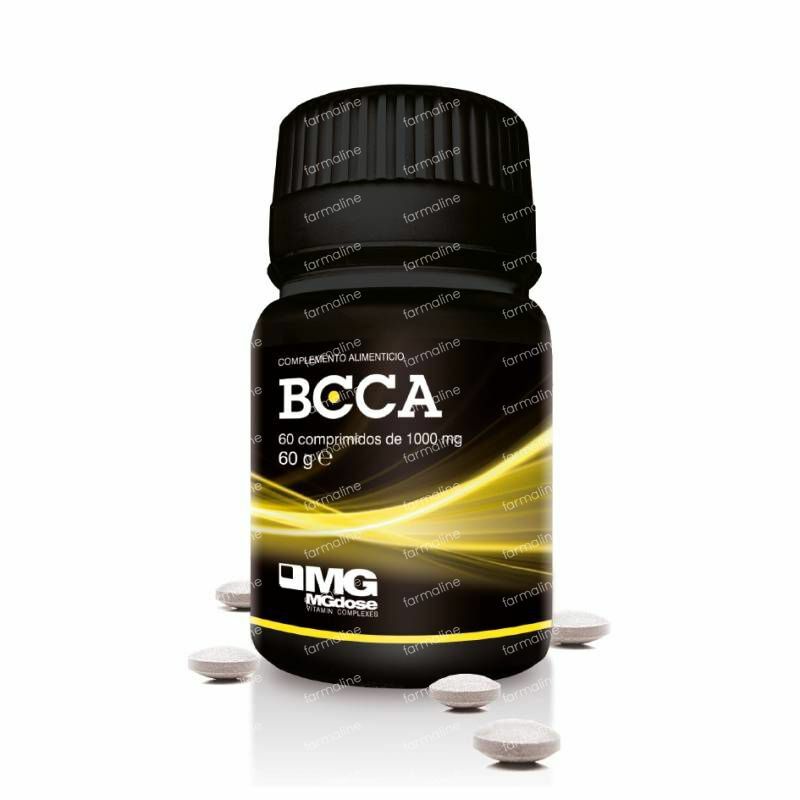 BCCA are branched-chain amino acids. The 4: 1: 1 combination of L-leucine, L-isoleucine and L-valine supports a smooth operation and structure of the muscles. BCCA supports proper protein synthesis and is the ideal complement after surgery, illness or during chronic fatigue. BCCA increases endurance during intensive sports performance. BCCA stimulates the production of insulin. The present B vitamins support proper supply of energy. * L-Leucine, L-Isoleucine *, L-Valine *, thiamine hydrochloride, riboflavin, Niacinamide, Pyridoxine chlorhydrate, Folic acid, cyanocobalamin, biotin, calcium pantothenate, microcrystalline cellulose (stabilizer), dibasic calcium phosphate, hydroxypropyl cellulose (stabilizer), silicon dioxide (anti-caking agent), croscarmellose sodium (Disintegrator). * From vegetable origin.